Eight finalists. One winner. Hawksworth Young Chef Scholarship’s nationwide search for Canada’s top young chef will reach boiling point on Saturday, September 17 at Vancouver Community College, when finalists compete in a black box challenge to be crowned winner of a $10,000 prize and a stage at an international restaurant. Guests can join in the drama of the live finals and then enjoy a celebrity chef dinner created by judges Anthony Walsh, David Hawksworth, Jackie Ellis, Justin Leboe, Lee Cooper, Normand Laprise and Scott Jaeger. Following heats in Calgary, Montreal, Toronto and Vancouver this spring, the eight finalists (all under 28) have been chosen to create a main course and dessert using a common pantry and five secret ingredients from the black box, which will be revealed at the three-hour final. 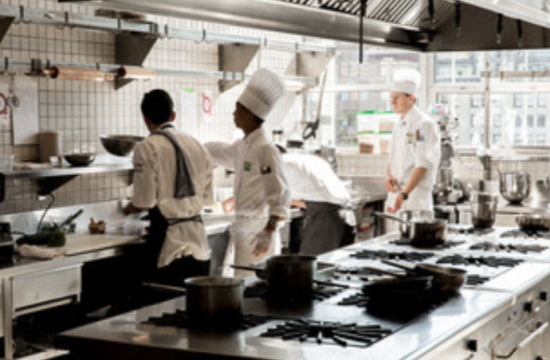 The successful winner, chosen by a prominent panel of Canadian chefs and food critics, will be awarded a $10,000 scholarship, international stage and support from sponsors Air Canada, San Pellegrino, Gordon Food Services and Le Creuset. Finalists will battle it out in front of a live audience and a team of Canada’s most distinguished culinary figures, including renowned food critics Jacob Richler and Sarah Musgrave. The live competition finals show will be hosted by Lien Yeung at 6pm. At 7.30pm a post-event standing dinner reception will take place with wine and food prepared by celebrity chef judges Normand Laprise, Anthony Walsh, David Hawksworth, Lee Cooper, Justin Leboe, Scott Jaeger and Jackie Ellis. Tickets for this unique chance to mingle with up-and-coming and well-established chefs at the live final show and stand-up wine and dinner reception cost $80 (plus tax). Visit https://hawksworthrestaurant.com/events/prepayment/ to book now as spaces are limited.